Following the success of the first Homme Idéal released in 2014, Guerlain followed up with the Eau de Parfum version two years later. However, unlike most fragrance releases, the EDP is an altogether different scent rather than just a more intense version. Guerlain have since released an “Intense”, which hit European shelves in spring 2018. Therefore, we wanted to take a step back and evaluate the masterfully blended eau de parfum using our in-house Fragrance Formula. 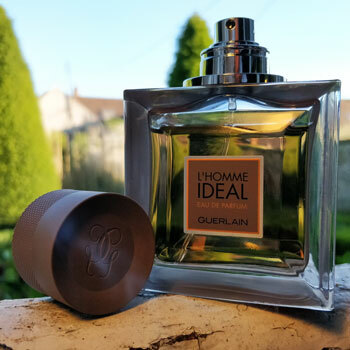 Meaning the “Ideal Man”, L’Homme Idéal was a polarising release from the historical fragrance house. Compared to their usually conservative and traditional blends, their latest concoction came in a flashy and modern flacon with avant-garde contents. Developed by Thierry Wasser, Guerlain’s in-house nose over the last decade, and Delphine Jelk, Guerlain claimed that the ideal man is a myth but his fragrance is very much real. Clearly referring to this, let’s take a look whether it’s as good as they claim! Download the Guerlain L’Homme Idéal Fragrance Formaula as a PDF. With an intense and hot, powdery bouquet, L’Homme Idéal Eau de Parfum is a deeply sensual blend. Comprising of a number of notes and accords from the Oriental family, it comes across as a Woody Oriental Amber thanks to birch tar and sandalwood. Contrasting against faint notes of herbes de Provence and bergamot, L’Homme Idéal opens on bittersweet grapefruit and black pepper. The initial burst of aromas is somewhat reminiscent of wintery fragrances such as Dolce & Gabbana The One and Armani Code. However, it quickly develops its own unique identity with a musky amber background. Shortly after, the musky amber develops into a rich frankincense note, which is sweet and evocative of liquorice. This interacts with rose notes in order to create a more resinous floral background. Above it sits tantalising notes of almond, which brings out this mysterious amaretto accord. Finally, the amber heart draws towards some sweet and mouthwatering tonka bean paired with sandalwood and birch tar. Overall, this creates a very gourmand and powdery base with a vanilla hint. However, the birch tar is somewhat more complex and gives off an accord that is reminiscent of suede leather. With seamless transitional notes between each phase, L’Homme Idéal is an immersive fragrance. You don’t feel the jumps between head, heart and base but instead experience a change of scenery that takes a number of minutes to establish itself. As for its strength, L’Homme Idéal performs as well as you would expect from an eau de parfum. Its projection is tight but tangible whilst the sillage is quite noticeable from about a metre away. Finally, the longevity is admirable and you can pick up the fragrance on textiles as well as yourself well after 24 hours. However, it gives about eight to nine hours of reliable performance. What Do People Think Of Guerlain L’Homme Idéal? As we suggested in the opening of this review, L’Homme Idéal came as something of a shock for those familiar with the house. Like La Petite Robe Noire for women, it’s a very contemporary and flashy fragrance rather than their usual traditional blends. However, that does not suggest that Guerlain are completely restructuring their identity. For instance, Mon Guerlain is a recent release for women and is very classic in its structure. Nevertheless, the unusual bouquet came as a shock to many and took some time getting used to. Yet it has still managed become a firm favourite among many Guerlain adepts. As a fragrance for attracting women, it seems to be something best suited to those between their late twenties and early thirties. Younger women in their teens and twenties found it to be too mature and musky. Meanwhile, although older women above their mid-thirties found it slightly too contemporary, it was still enjoyed by some in their late forties and early fifties too. As a fragrance that is worn by or attracts men, it is one that does scare off younger gentlemen. Guys in their late teens until their late twenties would have difficulty wearing this. Similarly, older men in their forties find it too unconventional and unfamiliar compared to the Guerlain they know and love. As a result, this is very much a fragrance that targets men in their thirties. Being more established, they’re turning towards the pedigree perfumers. However, they still want to wear something modern and fresh. Although it’s a discernibly fall and winter fragrance being an oriental scent, it’s surprisingly wearable throughout spring. I’m currently wearing L’Homme Idéal in early May and it’s not too heavy and still very intoxicating. However, I’ll likely stop in a week or so and opt for more seasonally-appropriate fragrances. As for occasions, L’Homme Idéal is an eau de parfum best suited for the evenings. The flacon and its contents pair beautifully with the orange sky of a setting sun. Meanwhile, it’s quite high end and would be suitable for either romantic or formal occasions. Worn formally, L’Homme Idéal exudes sensuality and elegance, which is a dangerous combination with a tux. 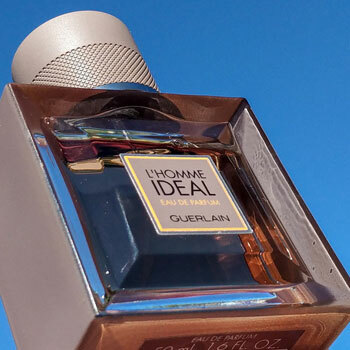 Finally, L’Homme Idéal oscillates between strongly and moderately masculine style. Whilst it’s a powerful fragrance with overt musky notes, it’s always quite sweet and laid back. Therefore, it’s a solid option for men who don’t want something too overbearing. Admittedly, I had difficulty with the flacon at first. However, I’ve grown to love it. The geometric glass is accented by a brown edge. Meanwhile, the cap is made from heavy rubber with a knurled finish and the Guerlain initials at the top. Furthermore, the atomiser is one of my current favourites. In creating a fine mist, it’s easy to evenly apply and can be brought quite close to the skin. I also love the Guerlain initials on the top, which is an extra detail. On top of that, the text overlays the Be and You, which would actually make a fitting mascot for Bespoke Unit! Finally, the value for money is as you would expect from Guerlain. I purchased 50 ml of this at Charles de Gaulle airport for a somewhat steep 60€. However, online you can find 100ml for $110 via Amazon. Being Guerlain, the price is somewhat higher. However, it’s still remarkably accessible for a high-end fragrance at about the same price as Dior’s Sauvage. 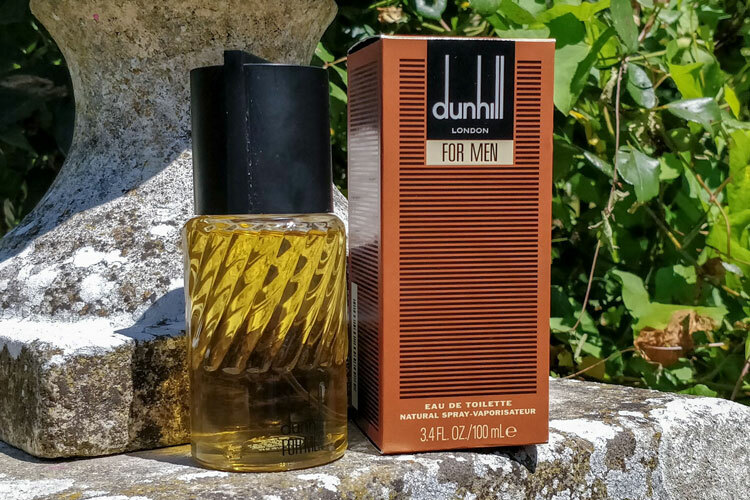 A deeply sensual and somewhat wild fragrance, Guerlain L’Homme Idéal is a potential contemporary classic with a lot to offer the fragrance community. Furthermore, the Eau de Parfum packs a lot more punch with an extra level of complexity as well as a stronger blend. If you’re a man well into or approaching his thirties, I highly recommend that you give this a try. However, it’s a controversial fragrance and so I’d highly insist that you do try rather than plunging for a blind purchase. Enjoyed the written review? Watch the video review below! Reviewed by Charles-Philippe Bowles, on 7th May 2018 . "A complex and sensual men's fragrance. Although unashamedly contemporary, Guerlain draws on its heritage for this intoxicating masterpiece." How does it compare with the new Homme Ideal Intense? They’re actually surprisingly similar after the overwhelming difference between the EDT, EDP and Cologne. Overall, Intense differentiates itself with notes of chili and cardamom in the head. It’s smoother and more understated but I personally have a preference for the EDP. I’m in my mid twenties. Do you think I’m too young to wear Homme Ideal? Thanks! Personally, I think that if you love the fragrance, don’t hold back because of your age. We include these mostly as guidelines to indicate whether a fragrance is relatively mature compared to others.